Seiko CH-8B extra heavy duty, single needle, cylinder bed lockstitch sewing machine with bottom feed, needle feed, walking foot top feed and extra large capacity shuttle hook for use with heavy weight materials & thick sewing threads. 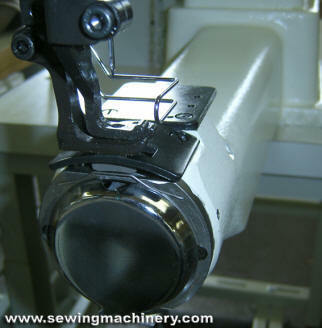 Suitable for sewing material such as canvas, plastics, leather etc. 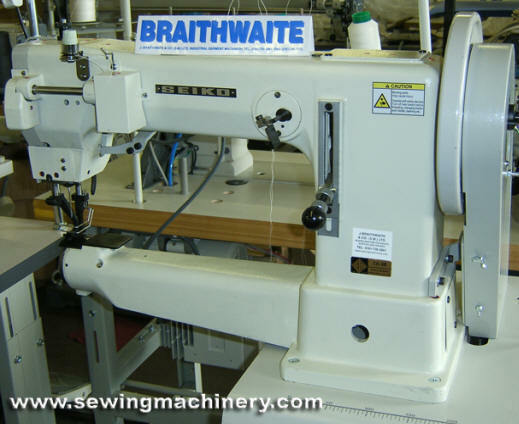 Features a long arm cylinder bed shape with 400mm clearance to the right of needle and a powerful triple feed action for sewing heavy weight materials. CH-2B: Drop feed & alternating presser feed. CH-7B: Bottom feed & needle feed.